To mark the 100th anniversary of the final year of World War I, St. Scholastica will host three cultural events. The first is Cinema in the Trenches, a free festival of classic WWI films, on April 6 and 7. The festival will include three movies, each of which will be introduced by a St. Scholastica faculty member. The event is free and open to the public, and refreshments will be provided. Each film highlights different aspects of the war, from trench warfare to prison camp escapes to high-flying aerial combat. All films will be screened at Burns Wellness Commons Lecture Hall 249 on the College's Duluth campus at 1200 Kenwood Ave.
"Paths of Glory" is an early masterpiece from director Stanley Kubrick about the moral costs of war. A decidedly anti-war film based loosely on a true story and novel, "Paths of Glory" depicts the ethical divide between French soldiers in the trenches and disengaged officers giving orders from afar. Best known for intense scenes of trench warfare, Kubrick's drama features stunning compositions and sublime tracking shots. Filmed by the great "poetic realist" director Jean Renoir (son of painter Pierre-Auguste Renoir), "Grand Illusion" depicts French prisoners' attempts to escape German POW camps. Released as a humanist anti-war film on the eve of WWII, Renoir's masterwork was banned by Nazi Propaganda Minister Joseph Goebbels, who tried to destroy all confiscated prints. Renoir's film depicts brotherhood and the need to transcend class, race and nationality in order to stop future wars. Produced by Howard Hughes, this spectacle focuses on the air war between Britain and Germany. Featuring impressively choreographed aerial battles, this action epic had a difficult production history. Several pilots died during filming and it was one of the most expensive movies of its time. Taking nearly three years to produce, "Hell's Angels" is evidence of Hughes' wealth, power and uncompromising vision. 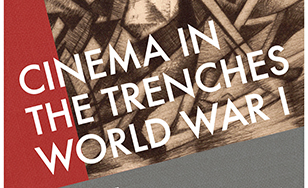 Cinema in the Trenches is sponsored by St. Scholastica's Department of Communication, Theatre and Art; the School of Arts and Letters; and the St. Scholastica Library. The second event is St. Scholastica Theatre's WWI-themed production of the drama "Journey's End," opening on April 13 in St. Scholastica Theatre, behind Tower Hall. "Journey's End" is set in 1917 and follows the story of a group of officers in the British trenches as they learn of an impending German attack. The third event is a talk and recital, "Philosophy and Music after the Great War." Assistant Professor of Music Nicholas Susi will perform a left-handed concerto, "Piano Concerto in D major for the Left Hand." The piece was written by French composer Joseph Maurice Ravel for Austrian pianist Paul Wittgenstein, who lost his right arm in the war. Professor of Philosophy Steve Ostovich will provide remarks about the musical work. The recital will be at 7:30 p.m. April 20 in the Mitchell Auditorium.